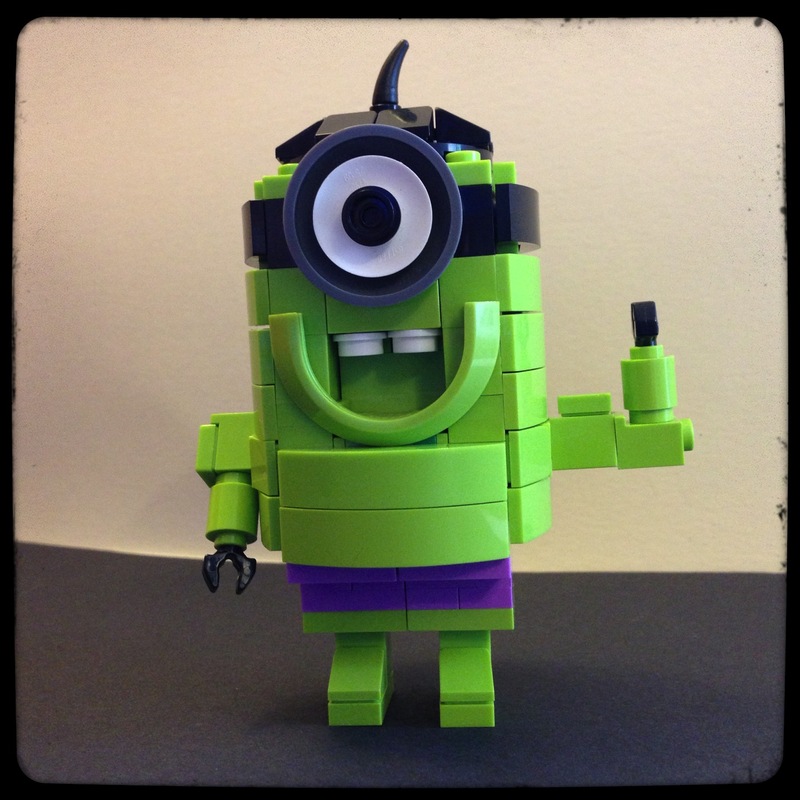 Two of these little Batminions have been built for Fairy Bricks and the upcoming Bricktastic Show. The Hairy Fairy must have a cunning plan for them, I think perhaps a prize of some sort. 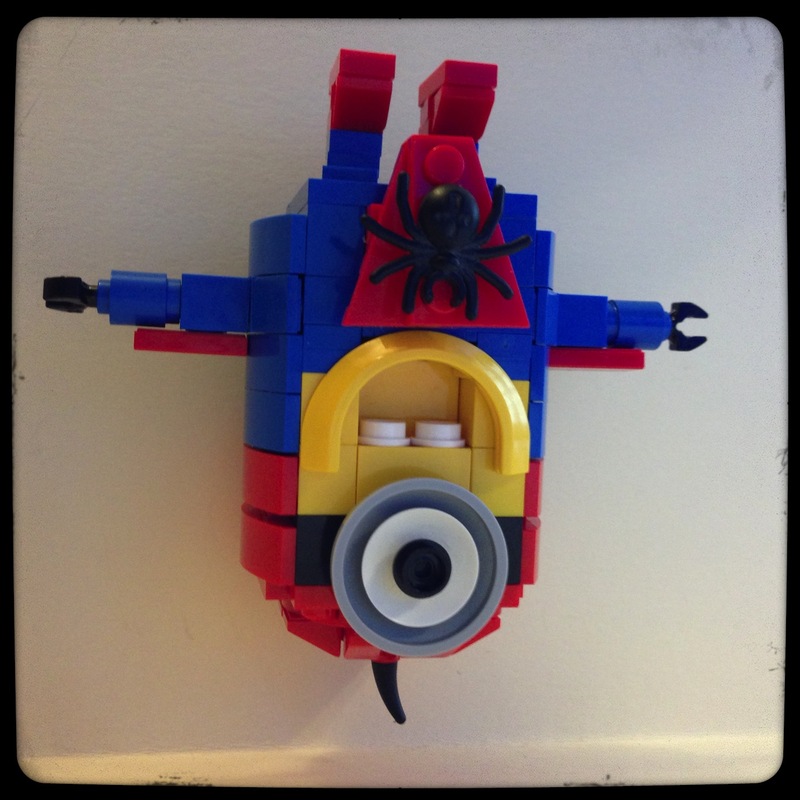 This superhero Batminion had been developed from Jeffery Kong’s awesome original Lego Minion. Jeffery Kong/Artisian Bricks Singapore. This is version II of the Batminion which is a little sturdier in the cowl and chest department to survive the touch of children!! Ba na na na na POW!?!? 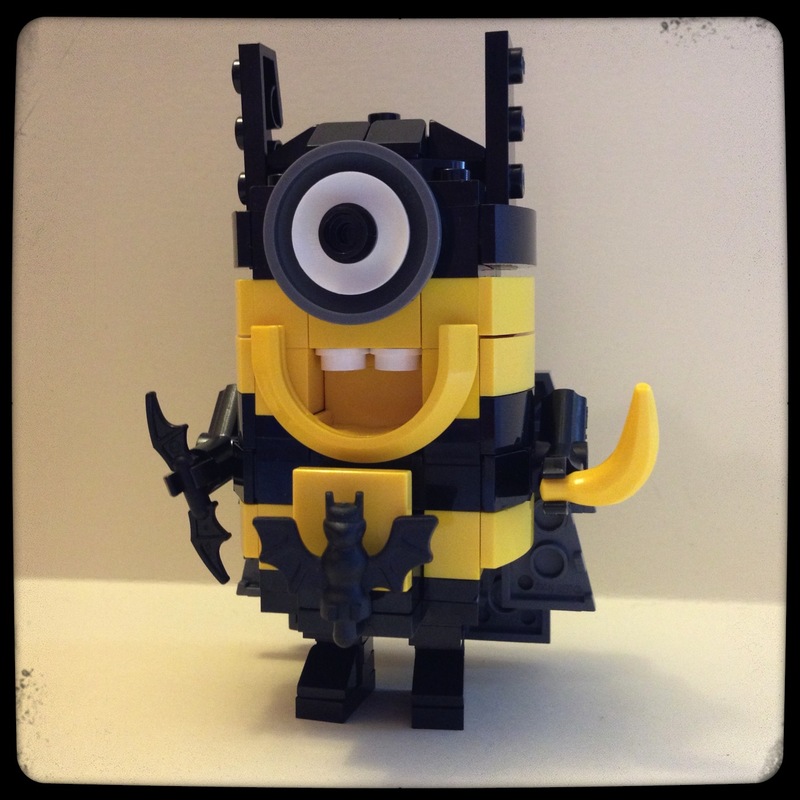 Categories: Bricktastic, Fairy Bricks | Tags: Batman, Batminion, Bricktastic, Fairy Bricks, Lego, Superhero | Permalink. Has anyone else noticed that poor Batman’s weapon is getting heavier and heavier? The lumbar extension required to prevent him from toppling over is just a red flag for the development of chronic lower back pain as seen in the photo below! * otherwise known as Disco Guy’s roller skate. Categories: Lego, Superheroes | Tags: Batman, Grand Ave, Lego, Superheroes, Weapon | Permalink. 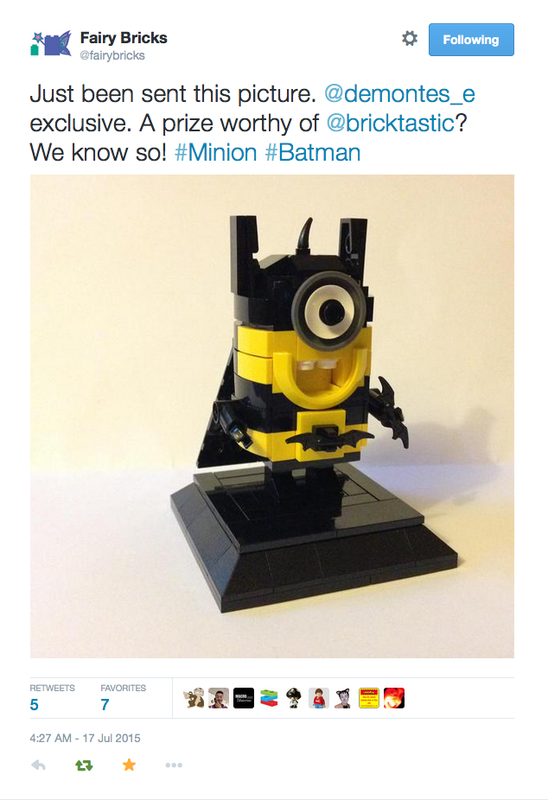 Categories: Lego, Lego Superhero Minions | Tags: Batman, blog, BricksBen, Lego, Lego Genre, Minion | Permalink. 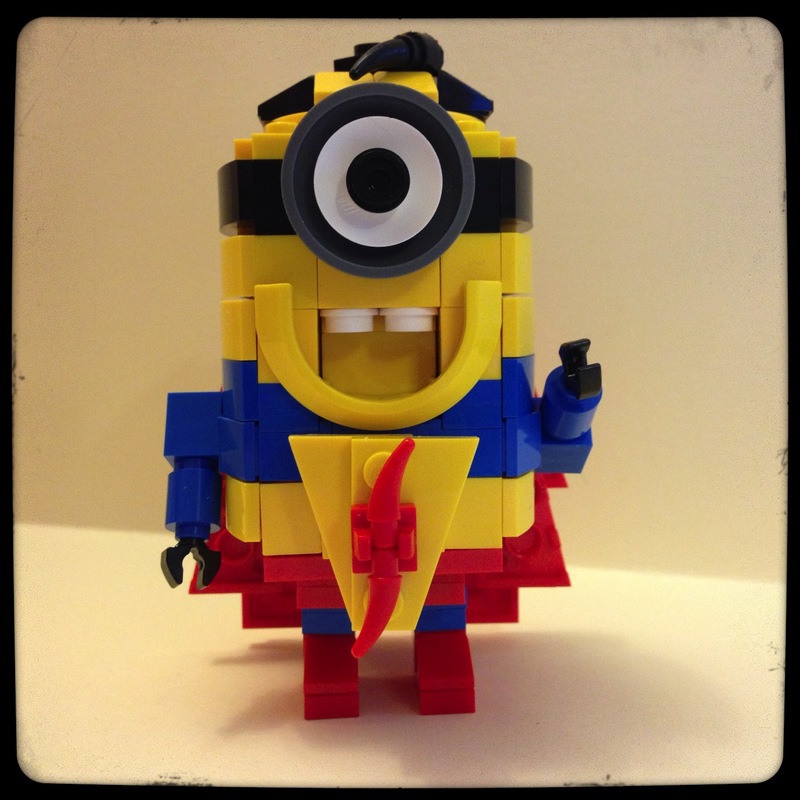 Modified from BricksBen original minion….transformed into Superhero Minions…. Categories: Lego, Lego Superhero Minions | Tags: Batman, Bricks Ben, Despicible Me, Incredible Hulk, Lego, Minions, Spiderman, superheros, Superman | Permalink.